Stand out from the crowd and add a free look to your style with this boho chic laptop backpack. 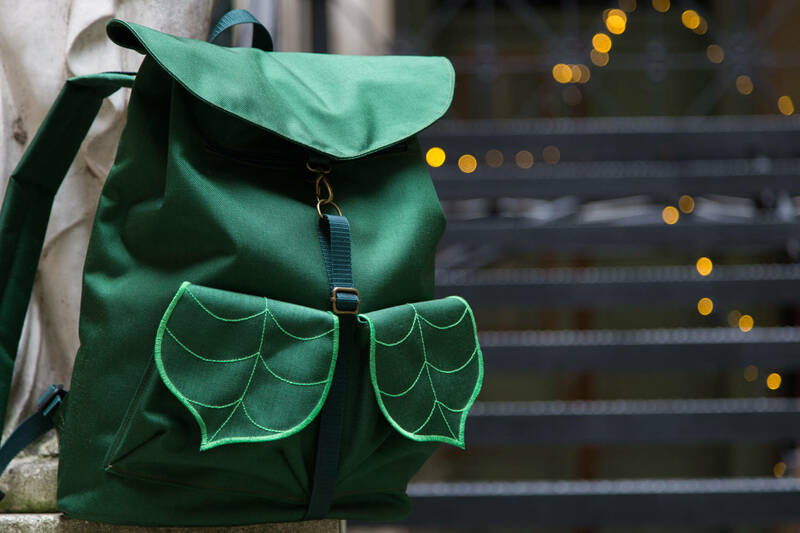 This unique 2 leaf pocket backpack is compact and light, yet spacious enough to carry around all day. • Padded laptop pocket that fits laptops up to 15.6"
This item is "Made to Order", processing time is 2-3 weeks after receipt of payment. It looks lovely and the quality is superbe. Lovely bag in a great quality and Gabrielle ist very nice and friendly and understanding. Gorgeous and well made. This bag is also well balanced. I can load it down and it does not hurt my back, shoulders or neck. I feel the cost of this bag was money well spent. Excellent product. As I travel with my laptop sometimes this backpack was just the perfect size. I've alao chosen an extra side pocket. It was important for me to have a neutral colour so that I can wear it to all of my clothes. That's why I chose black as fabric but with a blue multicolour stitching as eyecatcher which is neutral enough to wear it with everything. When Gaby already had the bag ready, she sent me photos of it. I noticed that it would have been nicer if the flap had also been stitched with the leaf design in the same colour. I asked Gaby and she wrote me that this wouldn't be a problem and that she could add it before delivery. I was overjoyed. I'm glad I ordered this change because now the bag is perfect for me. Many thanks to Gaby for the quick implementation of my last-minute wish.